This morning we went out to Monteagle to run a few errands. We first stopped at Subway (aka "Ham Sandwich Shop") to get some lunch. 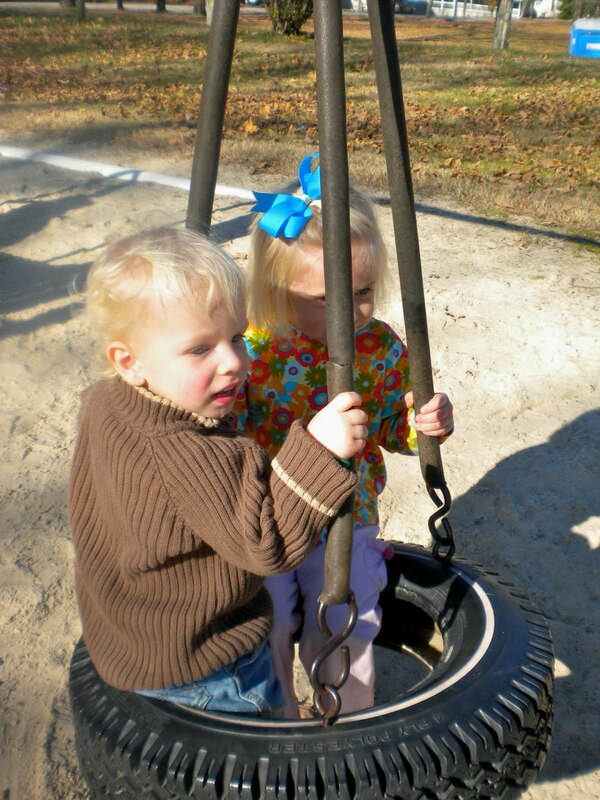 Chad needed to go to CVS to print some pictures so I suggested that I take the kids to the Monteagle Park. It is just a little playground but it is not a place we go very often, so the kiddos were thrilled. It was in the upper 50's today so we didn't even need jackets. Tucker was super happy to see the parked school bus near the playground. He ran over to it immediately. Notice how little he looks compared to the big school bus...I cannot even think about the day he gets on a bus and goes to school!! !